Robert Ludlum has been acclaimed as the master of .suspense and international intrigue for over twenty-five years. His many books have thrilled millions of readers, reaching the top of bestsellers lists the world over and setting a standard that has never been surpassed. 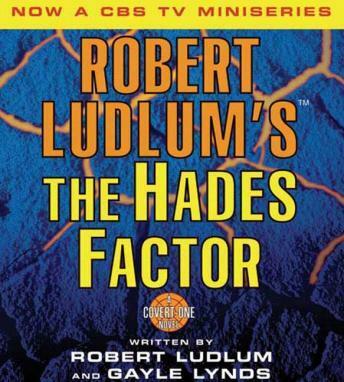 Now, from the imagination of one of America's greatest storytellers comes Robert Ludlum's The Hades Factor. A homeless man in Boston, an Army major in California, and a teenage girl in Atlanta all die suddenly and painfully-each a victim of a hitherto unknown, fast-acting viral agent. Col. Jonathon Smith, a combat doctor attached to the United States Army Research Institute of Infectious Disease assigned to investigate the virus, is first warned off by a shadowy FBI contact, then barely survives an attempt on his life. Not knowing where to turn or whom to trust, Smith assembles a private team to aid his search for the truth behind the deadly virus-a quest that leads them to the darkest corners of the world. Written by Robert Ludlum with acclaimed suspense writer Gayle Lynds, Robert Ludlum's The Hades Factor will thrill and delight his legions of fans.